Here you have it, the SquirrelMix, aka the theme song of the Screaming Squirrels. 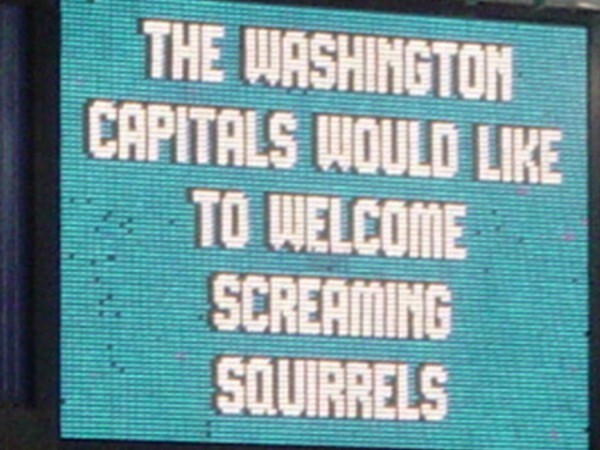 Last night, the Screaming Squirrels attended the Washington Capitals versus Detroit Red Wings game. Even though the Wings won, I think we all had a good time. 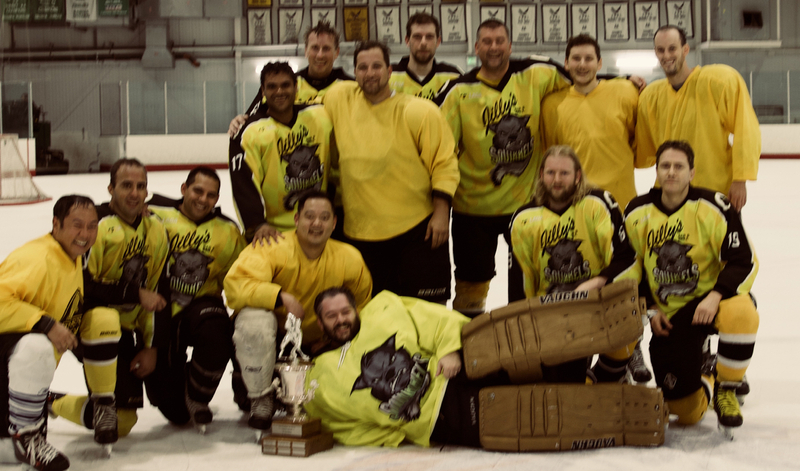 There were 16 of us total, enough to qualify for group pricing and a personalized message on the scoreboards during intermission. Sergio captured this shot with his digital camera.